Live BBC Two coverage on 12 April from 19:30 BST and on 13 April from 18:00 BST. Watch up to seven streams live on mobile, tablet, desktop and selected Connected TVs from 16:00 on 12 and 13 April plus highlights and reaction on 11, 12 and 13 April. Daily live text and radio commentary. 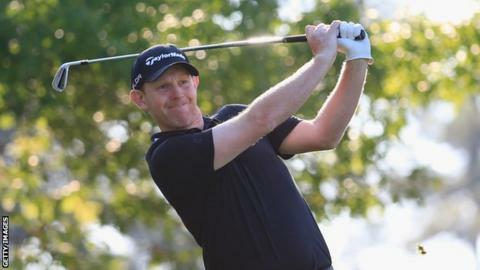 Stephen Gallacher continued his fine form at the Masters, with a level par second round of 72. The 39-year-old Scot, making his debut at Augusta National, is one under par for the tournament and in a share of 10th place going into Saturday. Compatriot Sandy Lyle, 56, also shot a 72 to make the cut. The 1988 champion knocked in his fifth birdie of the day at the last to reach four over par - which was the cut off mark for the weekend. Among those missing out were three-time winner Phil Mickelson, Sergio Garcia and Luke Donald, while 2012 champion Bubba Watson leads the way on seven under par. Gallacher will tee off for his third round at 1855 BST, playing with American Russell Henley. "I'm glad to be in the red numbers," he said. "It's a bit tricky out there. The wind is a bit up and the greens are firming up so I'm delighted with par. "I drove the ball well again. I only missed one fairway but you've to keep thinking, you've got to have acceptance levels that are high. It's a very strategic course. "I think everybody back home knows how to play it, it's just a case of trying to do it that's the hard part. Generally I would say if I missed a green or anything like that, you have to be happy with bogey." And looking ahead to the weekend, he added: "I don't have any expectations, I'm just playing the course. But we'll see what happens and just try to get into contention on Sunday. "I know if I get upset it doesn't help me, so there's no point in doing it. On these courses it's how you accept your shot. If you hit a bad one, it's how you accept and how you go on to the next one."